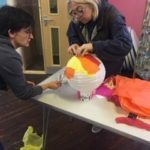 After a weekend of downpours, things brightened up dramatically when the teachers from our participating schools met up at the United Reform Church, Bedminster, for the first Bedminster Winter Lantern Parade 2018 workshop. 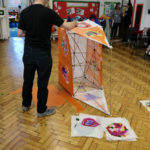 The #bemmylanterns team enjoyed helping the teachers pull their ideas from the page into three dimensions, giving the first spark of life to themes that include Rainbow/Weather, Space, Vikings, Whales, Rainforest, Elmer, Hot Air balloons. 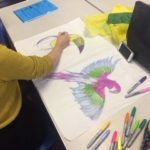 Taking a look at the pictures of the teachers in action, I can’t wait to see what they create with the kids over the next few months! Absolutely it does, when the people of BS3 get together! We did it! 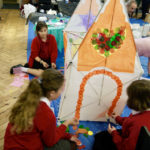 You blooming lovely lot helped us achieve, nay beat, our Fundraising goal, meaning that the 2018 Lantern Parade is on! But how did we manage it? Lets dive into the numbers…. 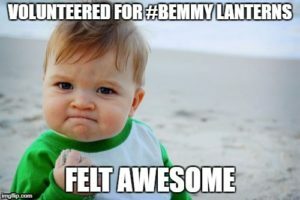 Well, actually we hit our goal before the 30 days were up, resulting in a collective sigh of relief in #bemmylanterns HQ. 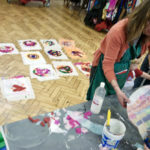 We are so lucky to have so many local businesses who have a big old philanthropic streak. Without these guys we wouldn’t have achieved a thing. So here’s a rundown of the kind people who donated Rewards to the Fundsurfer – visit their websites, visit their shops and spend some money. These folks are treasures! Argus Fish Bar – they don’t have a website so just work up an appetite by strolling on over to 114 West St and enjoy a fish supper. Bristol Pilates Studio – with lots of classes all through the week, there’s plenty of opportunity to enjoy a small group class or even a private session. Find out more . Les Fleurs – owned by a local resident, this delightful boutique florist creates offering a fusion of modern French and British floral design styles. I adore their work! Heart Radio Bristol – turn up the volume and turn up the feel good with some cracking choons. 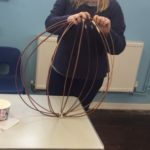 Margot May – visit the gorgeous and popular independent tearoom based on North street, and enjoy some of their delicious homemade offerings. Find out more about them on Facebook. 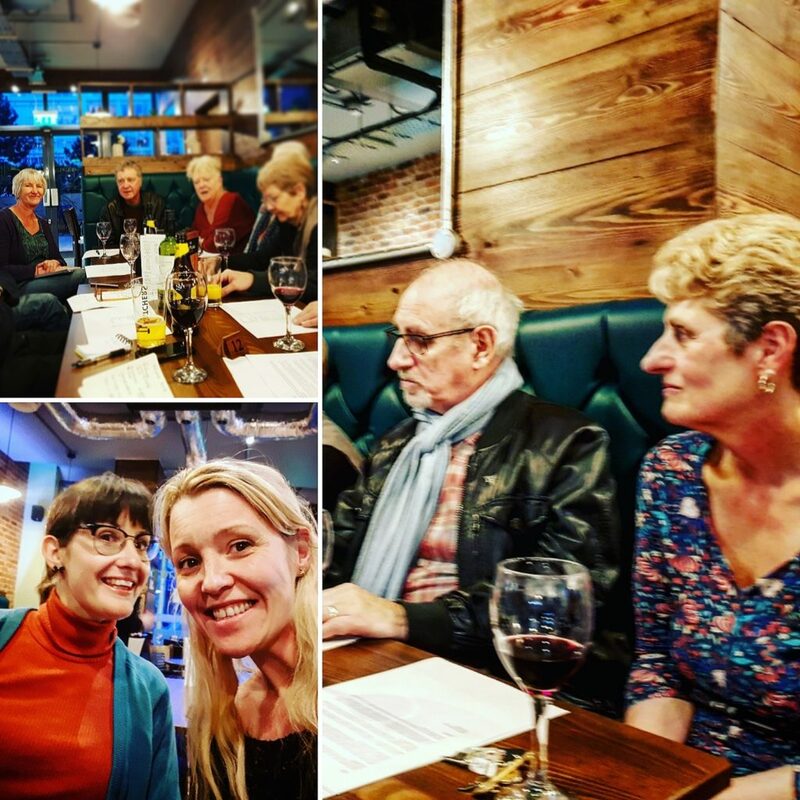 Mezzaluna – have you tried this little gem on West Street? Why not make a booking and try their warm hospitality and lovely pizzas. 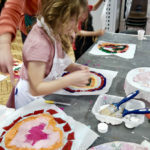 Milk Shed – visit owners Amy and Holly’s welcoming café, where you can find classes and workshops as well as really great coffee, cakes and lunches. Old Bookshop -enjoy some fine food and drink with friends at this jewel in the crown of North Street. Paul J Newell – find out some more about this fab local author on his website or go buy his book on amazon. Rare – if you’re a meat lover and you haven’t tried this butcher’s treats, you’re missing out! Wander on over and check out their wares. 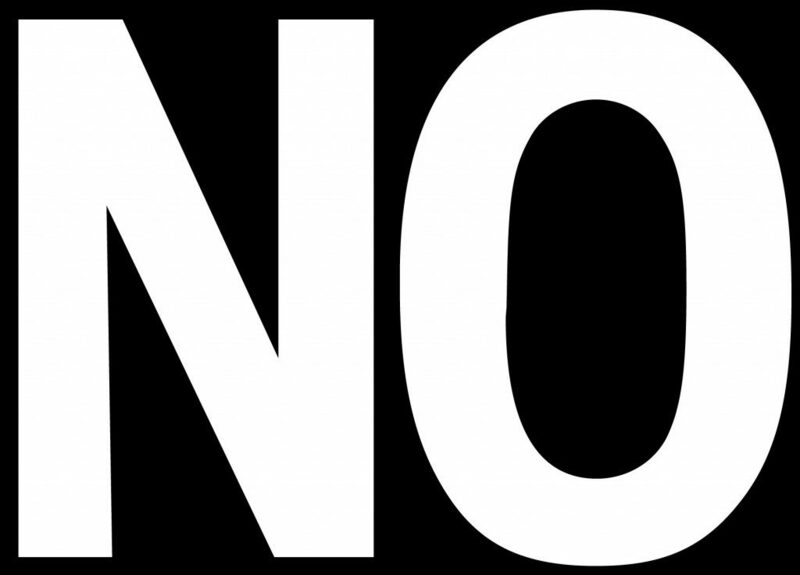 Zero Green – Want to get your groceries without all that horrible packaging. Check out what Zero Green sells, grab your empties and make a trip to Bristol’s first zero waste shop. I did say 12, didn’t I? 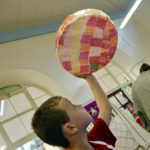 Well, we can’t go without tipping our cap to a couple of people in the #bemmylanterns team. 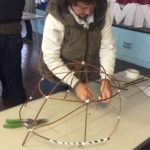 A big thank you to Liz and Tony Hillitt who put together the lantern kits again this year. 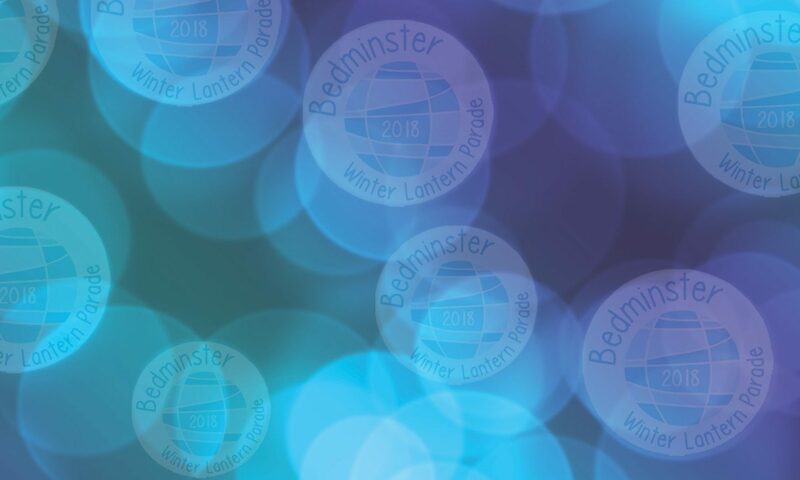 That’s how many of you who came together and pledged to support the 2018 Bedminster Winter Lantern Parade. A ridiculously huge thank you to each and every one of you. We hope you enjoy the warm fuzzies that doing this lovely thing as well as the Reward you chose. So that’s the maths! The only other number you need to know is the number 8. 8 for the 8th of December 2018 – the big day! 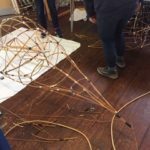 What’s happening with the 2018 Lantern Parade? 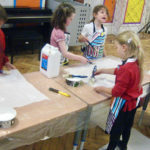 Last Monday, 16th April, we had a big question to face. And face it we did, at the gorgeously refurbished Mezzaluna on West Street. 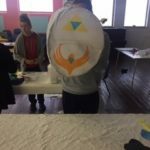 In light of recent funding issues, how the heck are we going to get the 2018 BWLP up and running? 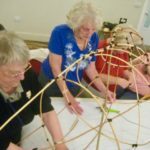 After a lot of number crunching and intense discussion, it was unanimously decided that we would forge ahead with fundraising and try to meet the budget by the end of June. It won’t be easy, but we’re going for it. There’s a big gap to fill, but we have to go for it. 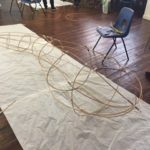 If we are going to rise to the challenge, we need the help of you lovely people in the community to join us and help raise the funds to make this year’s Parade a reality. There’s a boatload of cash that needs to be raised. 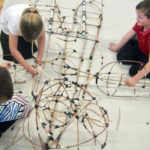 Have you got a cracking idea that you can put into action? 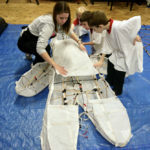 Do you fancy doing a solo mission to raise funds, or can you galvanise a team of pals to do something? Give us a shout via email to let us know, and we’ll promote the heck out of it. 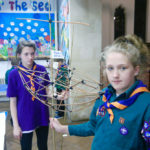 Are you a local business owner that would like to support the Lantern Parade? Or do you work for a company that likes to support this sort of thing? 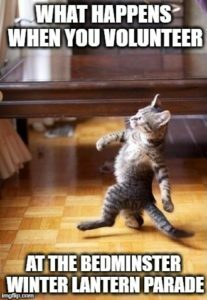 Well step right this way! We’re pulling together some Sponsor information that we’ll share really soon, but if you are already up for it, just pop us an email or get in touch through the Facebook page and let’s chat! Our committee is a small group of local residents who pull together to do all the good stuff necessary to make the event happen. 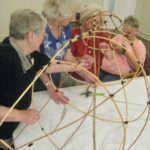 The emphasis is on small, here, and we would be delighted to welcome more people to join us to coordinate fundraising activities. If you have a small window in your busy schedule to meet occasionally and help us get the show on the road, we’d be so happy to hear from you. We’ve got a long way to go to get where we need to be. But, by heck, we’re going to make it happen. 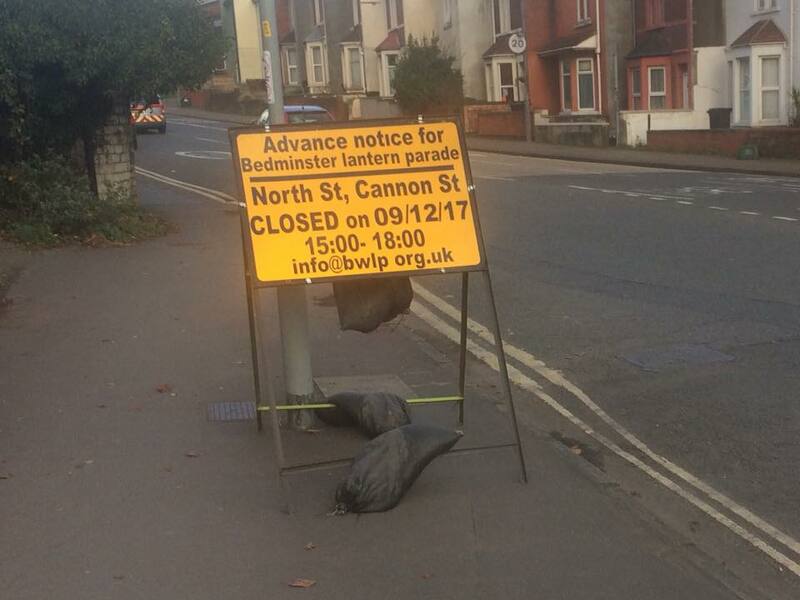 Bristol, UK, 26 March 2018 – On the day news came of a threat to this year’s Bedminster Winter Lantern Parade through Asda’s decision not to vote for the Bedminster Improvement District – a major sponsor of the BWLP project – Lantern Parade organisers learned of another cash blow. 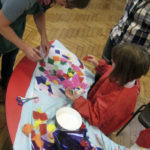 The group’s bid to Bristol City Council’s Arts Fund Originators Programme has been unsuccessful. 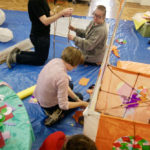 That news means that for the first time in its seven-year history, there will no funding from the City Council for the largest community-based event in South Bristol. 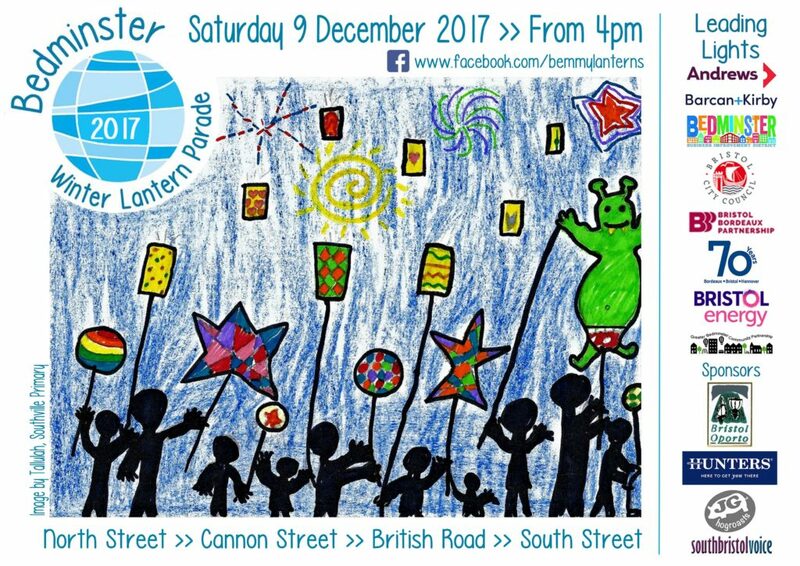 Malcolm Brammar, Chair of the Lantern Parade organisers, says the news has come as a double whammy. 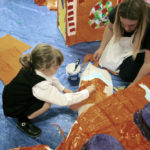 “But this is a sizeable hole in our budget and if we can’t replace it with support from the local community and businesses by the end of July, we’ll be unable to confirm that schools workshops can begin in the autumn term. 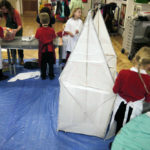 Regrettably that would mean a Lantern Parade this year would be unlikely”. 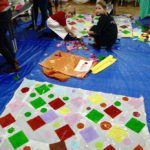 Over 2000 local people participated in the 2017 Lanterns project, and the Parade was enjoyed on the streets by many more. You lucky, lucky people! Not only are you going to get to enjoy the musical treats of Bristol Samba, the Ambling Band and Ravens during the Parade, you will be able to feast your ears on a selection of fantastic musicians before the Parade even starts! Starting at 4pm and finishing when the Parade rolls their way, a Smörgåsbord of musical talent will be entertaining you from various points around the route. Have a quick look below for the wheres and whens, and click or scroll down to find out a bit more about each artist! Now you know the timetable, find out a bit more about the Musicians of #bwlp2017! The African Sambistas are a Bristol based samba performance group who combine dance and drumming to bring energy to any event they play. Crowds love getting down to African Sambistas, who perform at festivals, parties and even weddings! The Ambling Band is based in Bristol and play in the south west of England and on the continent. They have been terrorising people on the street for the past 34 years, bringing joy and tears to those who watch and hear them!! Bristol Samba is a community band of drummers and dancers playing energetic Brazilian-based music for celebrating and dancing. The samba band and dancers perform at festivals, parties and events throughout the year, raising the roof and creating a vibrant atmosphere. 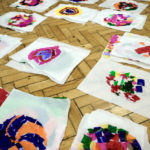 Bristol Samba promotes, supports and develops percussion-based music and related carnival arts, particularly in our local community. The band has been performing for over twenty-five years, since its formation under the name Bristol School of Samba. Make sure you check out the Brass Disciples, a 15+ strong community street band based in Bristol, playing a lively mix of well-known tunes in the style of the great New Orleans brass bands. With an inspiring array of instruments – the band boasts 4 trumpets, 3 trombones, 3 alto saxes, 3 tenor saxes, 3 baritone saxes, tuba and drums – the Brass Disciples give you no option but to boogie. Cécile is a singer-songwriter based in Bristol, UK. Her debut EP Ten Past Twelve was released in 2015 and is the fruit of collaboration with musician/producer Jack Cookson. Cécile sings in both French and English with a voice that silences rooms, accompanying herself with gentle nylon string guitar arrangements, resulting in a harmonious and emotive texture similar to the likes of Kate Rusby and Leonard Cohen. She has recently toured East France and has been performing in the UK throughout the year, both headline and support. 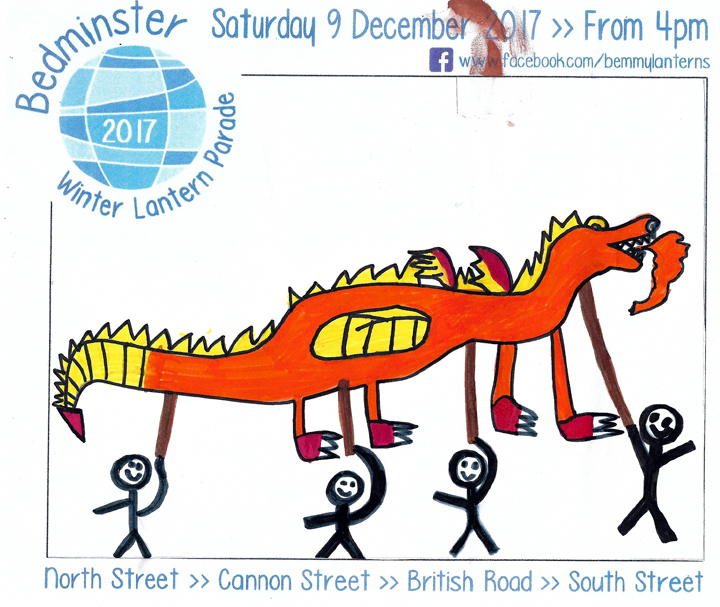 Active in the community of Bedminster for over 130 years, no Lantern Parade would be complete without their vital addition to the event. The countdown has begun! 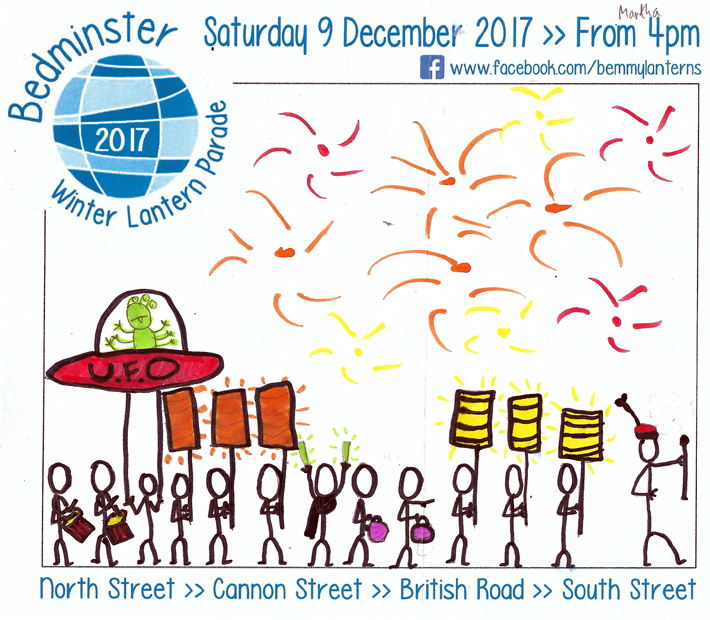 There are only 4 days left until the start of the 2017 Bedminster Winter Lantern Parade. 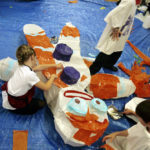 The event starts at 4pm, with the Parade leaving from the starting point at St Francis Church at 430pm. Now that you know where and when the fun starts, you’re ready for the other information that’ll help you get the best out of your day. 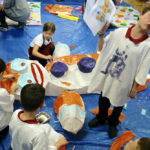 If you are taking part in the Parade with a school or community group, please meet at the agreed time and place by St Francis Church, on the corner of North Street and St Francis Road. Your group leader will give you your wristbands. If you are registered for the #bemmymix group, bring your wristbands and join the group at 330pm and no later than 4pm. We’re going with the same route as last year. The Parade sets off from St Francis Church (just by Aldi on North Street), and the route takes in North Street and Canon Street. We turn right just after the London Inn and continue along British Road. 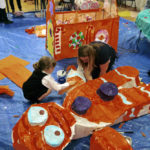 The Parade winds up at South Street outside Compass Point School, where we can enjoy some fireworks and a closer look at this year’s creations. The boards are up! The main roads on the route will be closed from 3pm until 6pm, so you can enjoy the event without traffic getting in the way. We’ve got some entertainment lined up for you lovely people before the Parade starts – more on that nearer the time – but make sure you find a good viewing spot before the event kicks off. The Parade will set off at 430pm and will finish approximately 1 hour later, and the fireworks are scheduled for just a little after 6pm. Make sure you wear warm comfortable clothing and sensible footwear. It is December, it will be dark and cold. You don’t want to get a chill. I don’t think that needs any further explanation. If you are a participant in the Parade, make sure you stay with your group (you don’t want to get lost or go the wrong way). Please follow the instructions from our stewards who are there to help make sure the Parade goes smoothly and safely. 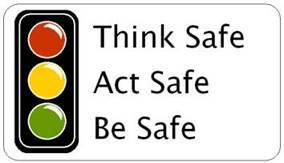 Finally, please follow any instructions the Route Masters, Safety Officer or Parade Leader give you. If you are not a registered participant, please don’t join the Parade. It is actually really dangerous to do so and causes total chaos. Please do not try and cut through the Parade – even if you see friends or family on the other side – just wait until the back end of the Parade has passed. 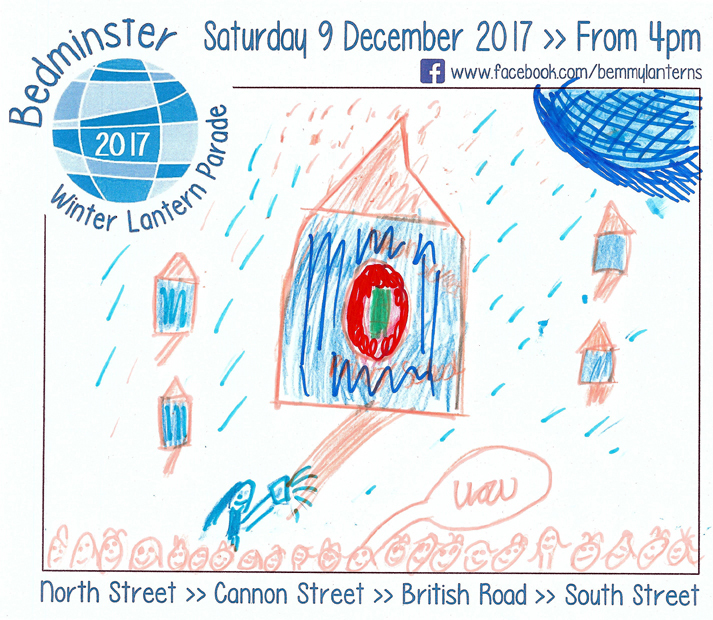 If you have children under your care, please make sure they stay with you on the edge of the route, and don’t let them dodge into the Parade. 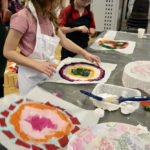 Bedminster is full of nice places to grab a bite to eat and a drink, so make sure that you make the most of your afternoon and try some of the lovely things on offer, including Hopper Coffee Van and some other stalls at the end of the route. We are also collecting donations during the Parade – you will see some super bucket-carrying Parade volunteers walking along the route. 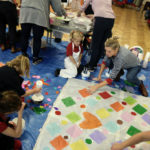 This year we have chosen who we want to help raise funds for: Help Bristol’s Homeless is a non-profit, social enterprise with a mission to change the face of homelessness in Bristol. So keep an eye out for the buckets and bung your donation in as they go past. They have been on an intensive weight lifting programme this year, so can carry a lot! We all love our pets, but they won’t love the event. There’s no rule against you bringing along your pet, but it will be noisy and crowded and there will be fireworks at the end, so they might not thank you for it. Maybe leave them at home if you are worried. We need your mad social skillz! And we need to see what you see on the day. 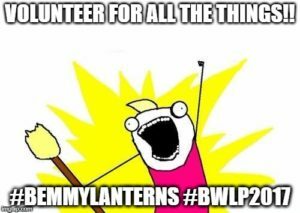 Please take loads of pics and videos and, using the hashtag #bwlp2017, tweet us (@bemmylanterns), share to our Facebook page, tag us on our Instagram or even email us at info@bwlp.org.uk. That, my friends, is it for now. See you on the day! 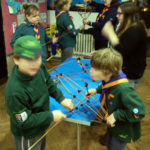 Where do your Lantern Parade donations go? 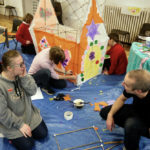 Fundraising is a vital part of the whole Bedminster Winter Lantern process. 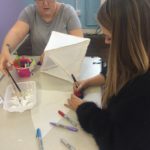 The committee starts work at the beginning of the year, securing funding, putting together those Lantern Kits and working with the community to do a whole host of fundraising efforts. Not to mention the amazing fundraising done by the bucket collectors on the day of the Parade! 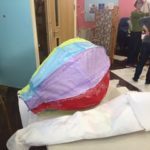 Without this vital fundraising, we simply couldn’t make the Bedminster Winter Lantern Parade happen each year. But we are a not-for-profit bunch! If we happen to generate any surplus, we don’t keep it! 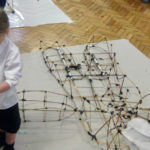 We share the love with a charity local to BS3. Usually we wait to see how much we manage to raise and then check if there is extra after we’ve balanced the books. 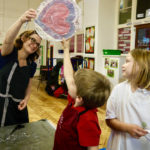 This year we’re changing things up, because we think that the work that these folk are doing is so important that we should promote the heck out of it in advance! 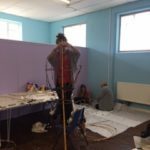 Help Bristol’s Homeless is a non-profit, social enterprise with a mission to change the face of homelessness in Bristol. Pretty powerful stuff, non? Totally worth getting as much cash together as we possibly can! 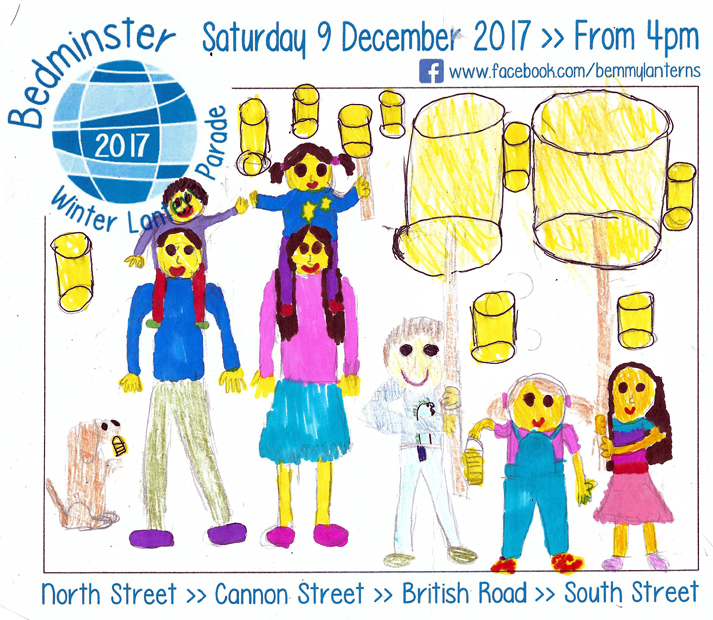 If you are coming along to the Lantern Parade on the 9th December please do bring some pennies to help this fantastic project. Or even better…if you have a bit of time and fancy getting involved, why not lend a hand by volunteering to be a bucket collector? Simply email Alex, our volunteer coordinator who will give you all the details of where, what and how. The Official BWLP 2017 poster is here! 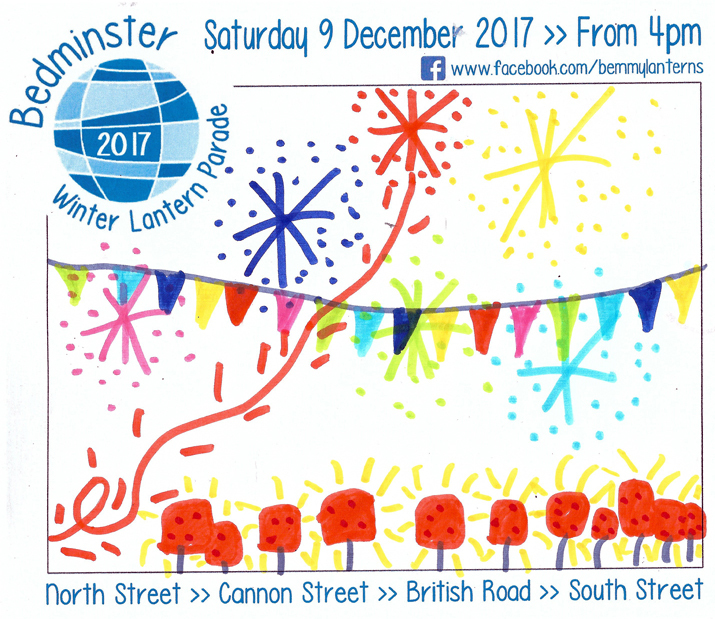 One of the favourite jobs of team #bemmylanterns is the annual judging of the entries for the Official Bedminster Winter Lantern Parade poster. 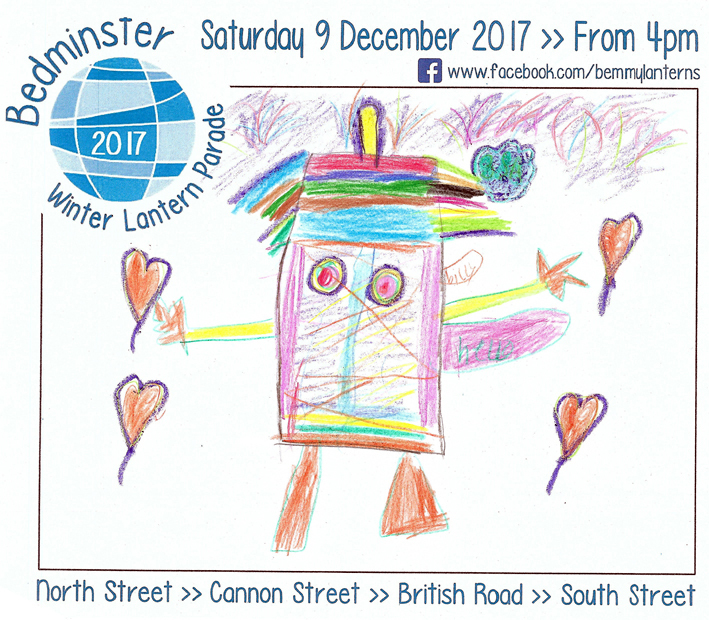 For those of you who are new to the whole Lantern Parade business, each year we invite children from participating schools to draw or paint a picture that really says “lanterns”. 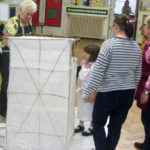 And each year, members of the committee get together to decide which picture will go up on all our posters. 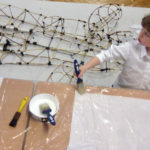 It’s never an easy job – we have so many talented artists in BS3 – and this year was no exception. It took us a while, but we finally made our decision. So ladies and gentlemen, boys and girls. 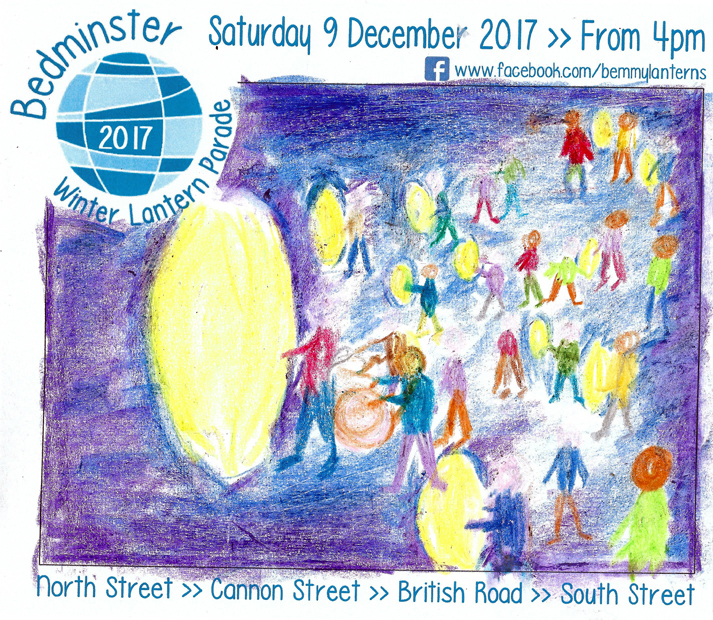 We are delighted to unveil the Official Bedminster Winter Lantern Parade 2017 Poster with artwork by the splendidly creative Tallulah Lippiatt from Southville Primary. 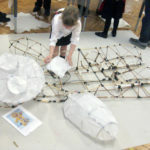 Well done, Tallulah! We hope you enjoy your Toyville voucher! 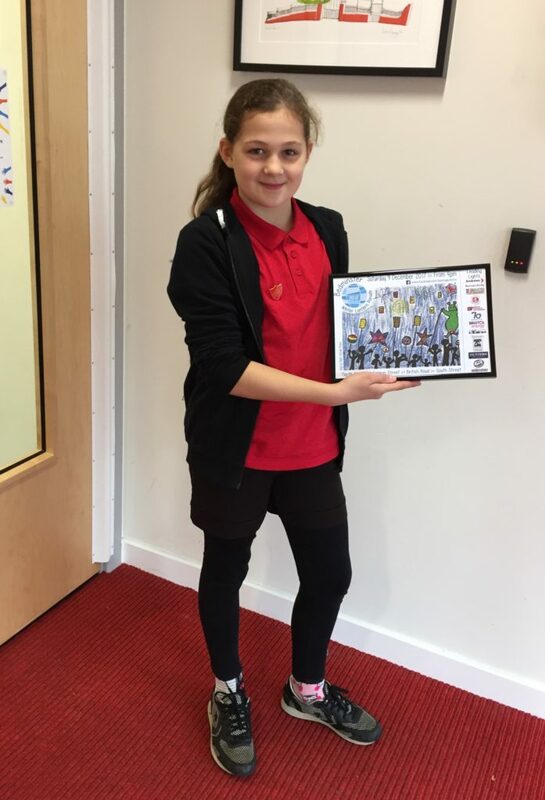 Tallulah Lippiatt at Southville Primary, with her winning poster. You can see her picture in all its glory below, but do keep an eye out for the actual poster. It will be going up all around about BS3 from tomorrow morning. 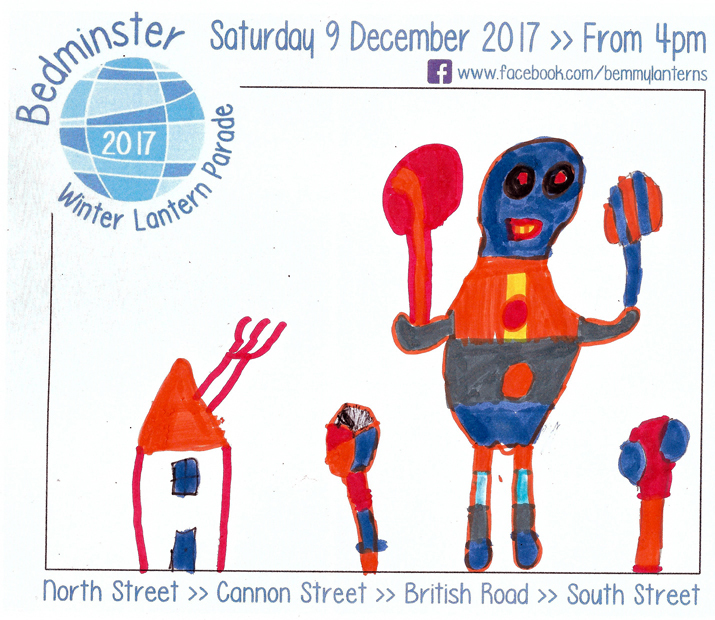 The Official Bedminster Winter Lantern Parade 2017 Poster, with artwork from Tallulah Lippiatt at Southville Primary. 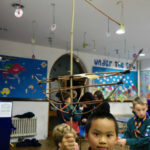 Take a look at the other fab entries below – excellent work all round! 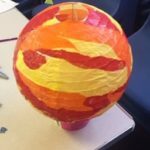 Team #bemmylanterns needs help – can we count on you? 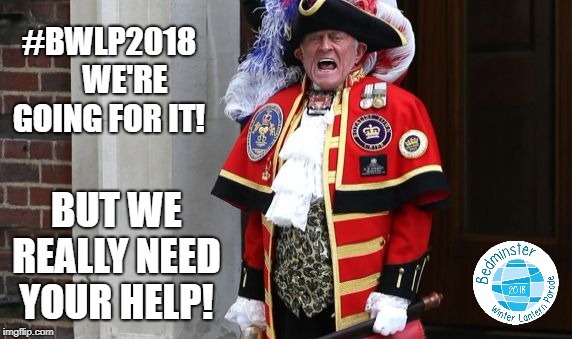 70 is a big number, but we need that many volunteers. 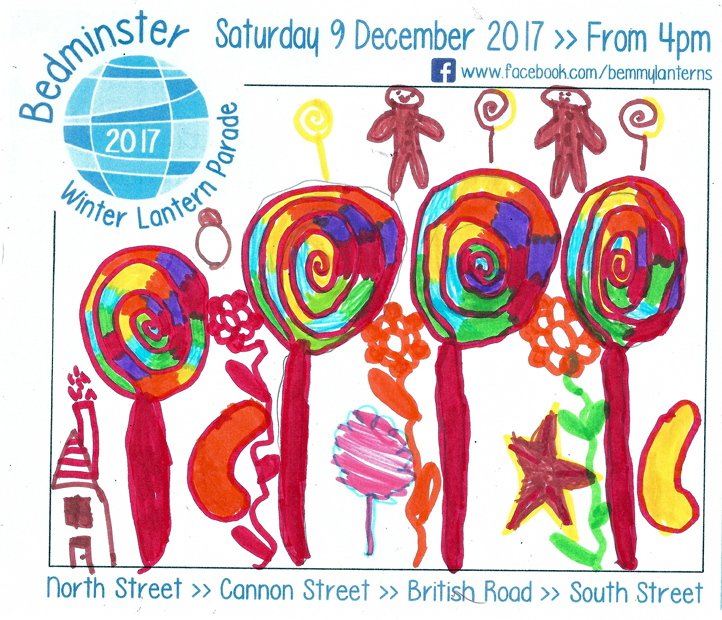 Just over a month until the 2017 Bedminster Winter Lantern Parade gets underway. Or might get under way. 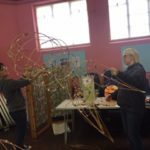 Don’t panic, but in order to make it possible for the Lantern Parade to go ahead, we need a minimum of 70 volunteers to help us with stewarding on Saturday 9th December. That’s quite a big number, but BS3 is full of awesome helpful volunteer-types, right? 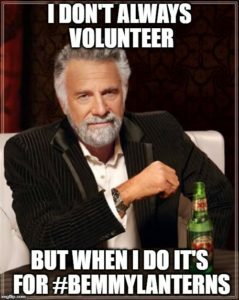 Are you one of those awesome helpful volunteer-types? 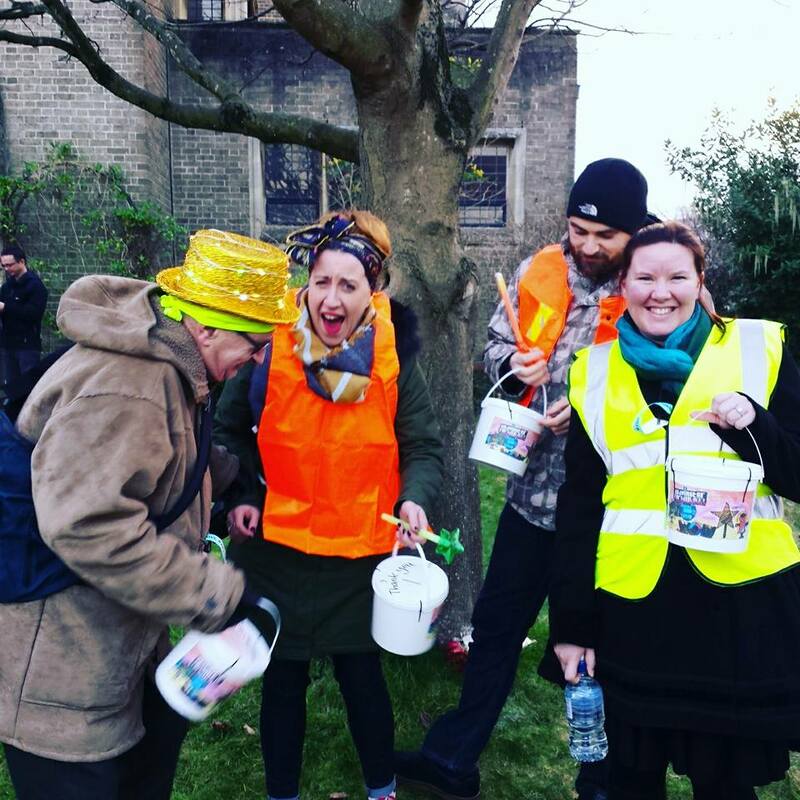 Are you free to volunteer to be a steward or a bucket collector on Saturday 9th December? Check your diary! Are you free? 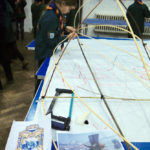 Do you want to know more about the volunteering possibilities? Read on! 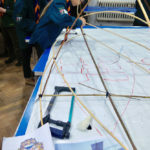 All we need is 4 hours of your time, during which you’ll meet with your Sector Chief and team before the start of the Parade, for a briefing to agree positions and pick up your high-viz jacket. You’ll then walk to your location with your team before the start of the Parade. 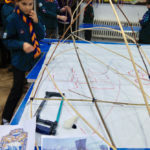 You’ll stand at your location for the duration of the Event, as advised by your Sector Chief, explaining road closures to members of the public. If you fancy being a steward, email Alex (our volunteer coordinator) or ping us a message via our Facebook page. The bucket collectors are a vital part of the team, as they help raise the vital funds to ensure that we break even for the day (and if we get any surplus, we donate it to a local charity). Bucket collectors will walk through the crowds along with the Parade, carrying buckets for the crowds to lob their pennies into. Again, you’d meet with the team coordinator before the event, to have a briefing, pick up your high viz and bucket, and then off you go! We got some great feedback last year about how people wanted to give, but there just weren’t enough buckets going through the crowd. 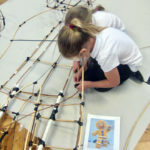 Can you help us get to all those people? If you think you can wield a bucket like a pro, drop Alex an email or say hello on our Facebook page. 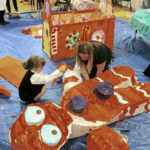 Of course, we are looking for help in many other ways too. 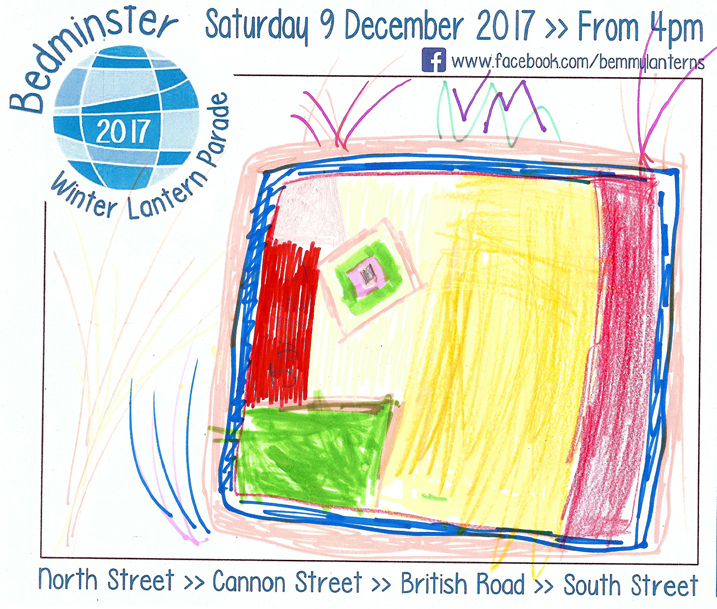 If you have a secret superpower or special skill that can help us make the 2017 Bedminster Winter Lantern Parade even more special, and you would like to lend a hand, do get in touch. Oh my days! 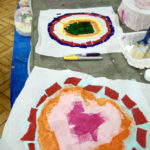 The workshops have started and they are all shaping up to look a bit blooming marvellous! 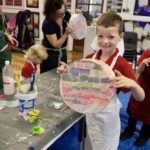 Keep checking in here to see the latest developments from our super-creative school and community groups!